Our Oakville exterior house cleaning service provides that deep-down clean that you've been looking for! We give you peace of mind and easy service. We make it as easy as possible for you to get the care you need. You don’t even have to be home to get the care you request. We’re happy to provide before and after photos to you so you can see all we’ve accomplished. We offer both interior and exterior window cleaning. This type of house detailing can give your home a brighter view while also helping you to enjoy the sunlight. It’s important to know we don’t just offer a basic service. We’ll tackle even those hard-to-reach windows while using the top technology available today to ensure a deep-down level of clean. You don’t want to clean your eavestrough even though you know how important it is for you to do so. When material backs up here, it can cause the gutters to overflow, putting water pressure on the foundation of your home. That’s dangerous. Our team uses a vacuum system and large canisters to cleanse the system, allowing water to flow easily again. Removing grime, mildew, and moss from your roof is necessary due to our weather in Oakville. Yet, this is a dangerous job. Homeowners can trust Shack Shine to do the job using a low-pressure method that safely removes stains and dirt in an effective manner. Your home will love you for focusing on these details. And, it could help prevent the roof from deteriorating too soon. Power washing provides an exceptional level of clean. Our team uses power washing as a way to cleanse horizontal surfaces outside your home. This may include your concrete or patio, for example. Because we use no harsh chemicals, your landscaping is safe and the environment is protected with this method. And, you’ll have the best-looking home on the block. Pressure washing is an important exterior house cleaning service for our residents in Oakville. With it, we can remove years of built-up grime, dirt, debris, and moss from most surfaces. From your bricks to your deck, we can cleanse these surfaces to a like-new look in no time. We do this with a system that will not damage the exterior of the home or any feature of it. What’s more, we’re happy to move furnishings out of the way and replace them. House washing is a valuable service for all Oakville residents. 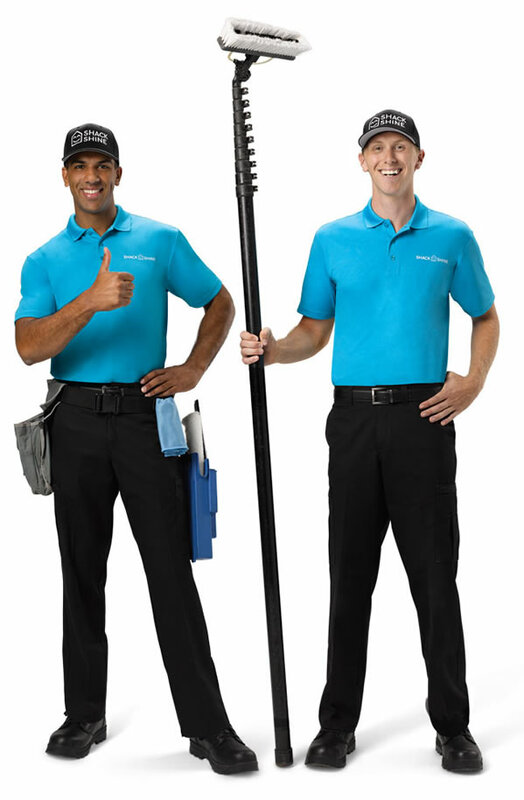 It’s at the heart of the Oakville exterior house cleaning services we offer. It helps to prevent grime and dirt from reducing the value of your home. And, we can often prevent early deterioration of the home’s siding or brick with proper cleaning. Shack Shine does this using low-pressure cleaning methods along with hand scrubbing. We rinse using water-fed poles to keep technicians off ladders. Get ready to have the most festive and brightest house on the block this holiday and outshine your neighbors! Shack Shine Oakville location offers a Christmas light installation service, making it easier for you to get ready for the holidays. We offer high-quality commercial grade Christmas lights that are energy efficient for your home. Everything is 100% customizable from the style to how it fits your roofline. To make it even more convenient for you, we’ll return to fix burnt out lights and do the takedown at the end of the season. Let us help you get into the holiday spirit. We are happy to help you get started with holiday lights decoration with our high quality service. It`s Christmas cheers time! 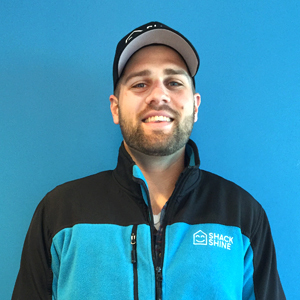 My name is Taylor Dunn and I am the owner of Shack Shine Oakville. I’ve worked in insurance sales for the past 4 years, and love building great relationships with people and business owners in our incredibly diverse and successful market. Having grown up in a very musical family, I have also been playing with my band for over 10 years and enjoy performing all over the GTA. I am excited to be working with Shack Shine because it provides such a simple, yet satisfying service to homeowners. I look forward to servicing the market I call home and continuing to build relationships with my community. I take pride in providing shiny homes and keeping homeowners smiling. I am also an avid outdoor adventurer and am working on heli-skiing Whistler’s backcountry!